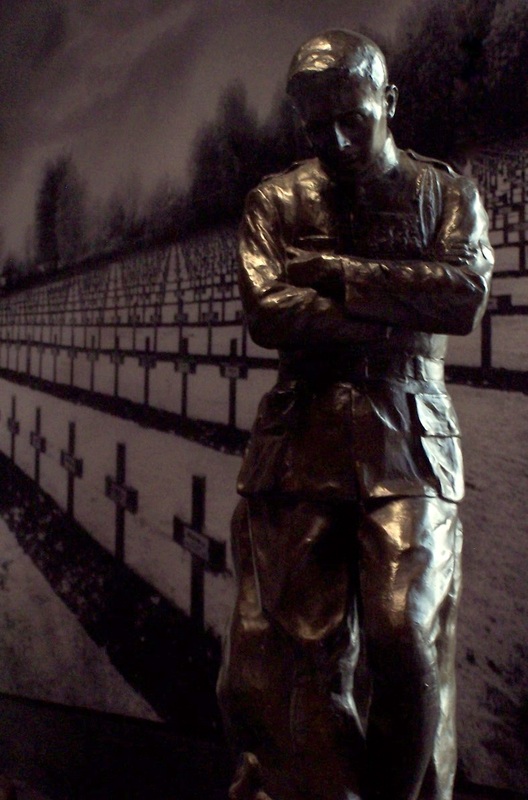 This bronze statue of a war-weary soldier was positioned in front of a mural of a World War I battlefield cemetery at the In Flanders Fields Museum in Ypres, Belgium. To me, it spoke of the infinite toll war takes on all involved. Love your shot – great eye!